Dr. Marble is a board certified plastic surgeon and a member of the American Society of Plastic Surgeons. She combines outstanding clinical credentials with sound aesthetic judgment to make her patients’ look and feel their best. 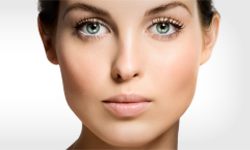 Dr. Marble provides both reconstructive and cosmetic plastic surgery services. Follow or like us on Facebook to stay up to date with our specials, promotions and services.